Join us, on Saturday, March 3 at 11 AM. 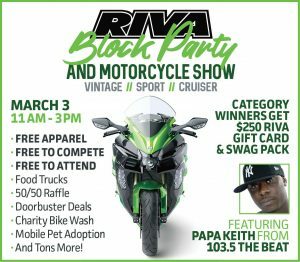 There will be some stunning bikes, Adoptable dogs, great food, free stuff and money raised for the Stoneman Douglas Victims’ Fund. We look forward to seeing you out there!